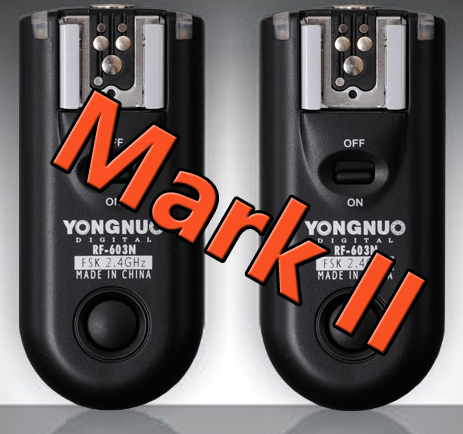 Yongnuo has revealed that an update to its RF-603 2.4GHz flash trigger will be released "this month". Update (2013-12-16): The RF-603 II has now been officially announced. Yongnuo has revealed that an update to its RF-603 2.4GHz flash trigger will be released “this month”. The improved radio transceiver, called the RF-603 II, will have a “higher sync speed, locking ring and improved flash/shutter control”, Yongnuo engineer Guanchao Liang told Lighting Rumours. The existing model, though popular, had been criticised by some photographers for its slow triggering speed and unsecured hotshoe mounting. Mr. Liang also revealed that the Chinese manufacturer will release its “flagship trigger product” next month, without giving further details. “Please stay tuned,” he said. It’s not clear what relationship such a device would have to the existing YN-622 and RF-603 series. 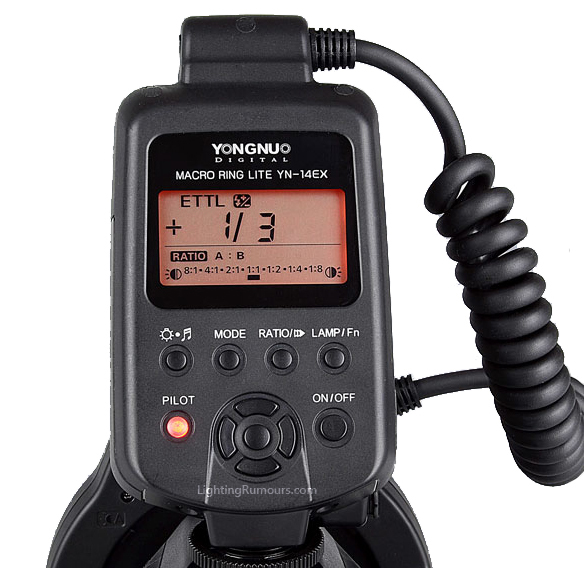 Last week FlashHavoc reported that Yongnuo was working on a wireless transmitter capable of remotely adjusting power settings on the YN560-III, a manual flashgun with built-in radio. When asked about this, Mr. Liang said it would be inappropriate to “discuss YN560-TX now” as the release date is at least two months away. It is possible that the YN560-TX could have a similar body design to the control module of the recently-announced YN-14EX macro ring flash, shown below. Alternatively it could share the style of an existing speedlight, or take on a new form factor entirely. The implication seems to be that the YN560-TX later this year, the “flagship” device next month and RF-603 II coming soon are all distinct products. Exact release dates and prices have not been divulged. You can browse Yongnuo products at their official online outlet.